Ships tomorrow if you order in the next 20 hours 1 minutes. 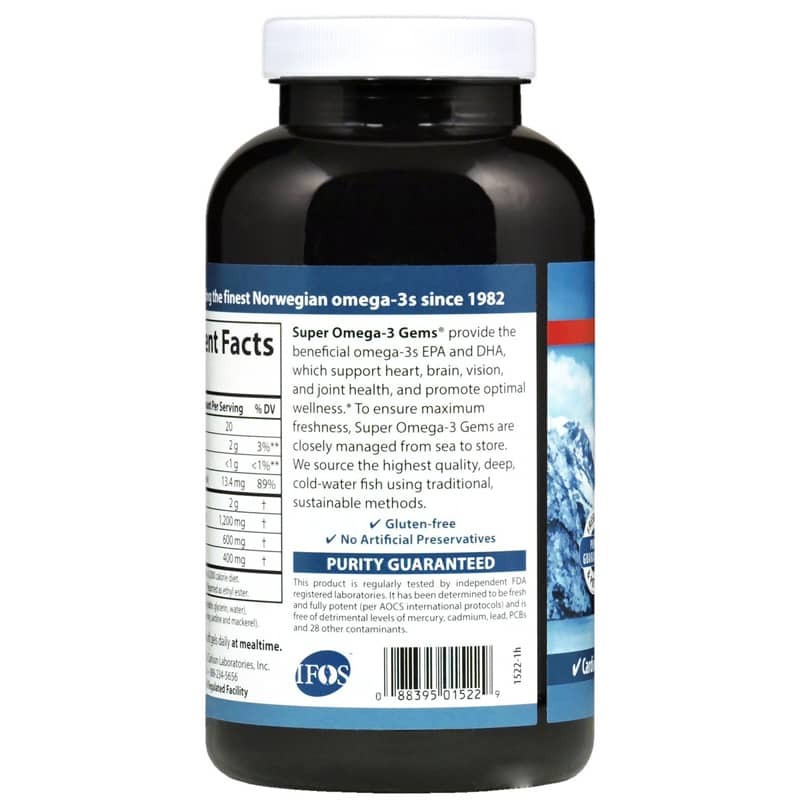 Super Omega-3 Gems from Carlson contain a special concentrate of fish body oils from Norwegian deep, cold water fish including mackerel and sardines which are especially rich in Omega-3s EPA and DHA. Fish body oil is a major source of the polyunsaturated Omega-3s EPA and DHA. For those individuals who do not eat an oily fish diet, Carlson offers Omega-3s in easy to swallow soft gelatin capsules. This product is regularly tested (using AOAC international protocols) for freshness, potency and purity by an independent, FDA-registered laboratory and has been determined to be fresh, fully potent and free of detectable levels of mercury, cadmium, lead, PCBs and 28 other contaminants. Other Ingredients: soft gel shell (beef gelatin, glycerin, water), mixed tocopherols. Contains NO: gluten or preservatives. 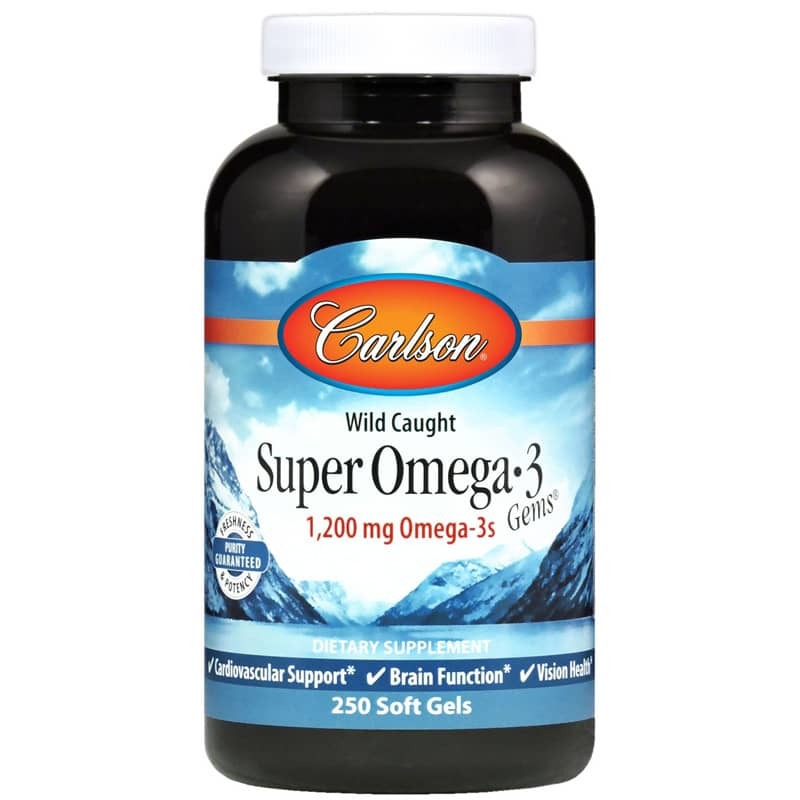 I have been using Carlson products--including the Super Omega 3 Fish Oil for many years now. Don't know if it was between the Omega Fish oil or the Vitamin D or both--but i've seen results. Wasn't doing anything different except that. Natural Concepts is the only place I can find this now where you get the twin pack. That is the larger bottle(100) with a small bottle (30). The 30 bottle is free. No where else carries this anymore. You will pay the same price everywhere for Carlson, but you get a free 30 cap. bottle at Natural Concepts. Hopefully that won't be til they run out of the twin packs. Then the price will be the same everywhere per Carlson's guidelines. Outstanding fish oil. Great company. No fish oil burps. Will purchase again. 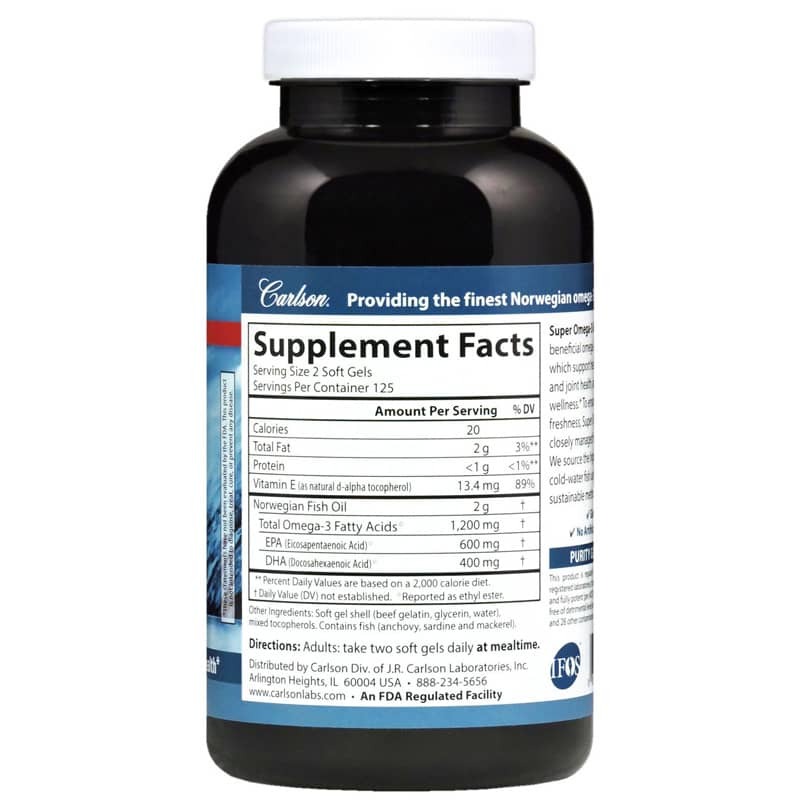 I shopped around online and Natural Healthy Concepts had the best price on Carlson fish oil. Then it arrived super fast! I expected my order to arrive 2 or 3 days later than it did. Carlson Labs produce quality products. I love this fish oil. Easy to digest and no fish burps. I purchased this high-quality product from Natural Healthy Concepts after seeing it on clearance at a regional retail store. It was 30% less from Natural Healthy Concepts than the clearance price. A great deal. Approved by the owner of Montiff, Don Tyson. Which is all I need to know. He also approves Nordic Naturals but they're quite a bit more expensive.